Jaguar launched their first Pace Series event in Amsterdam on 3rd September 2018. 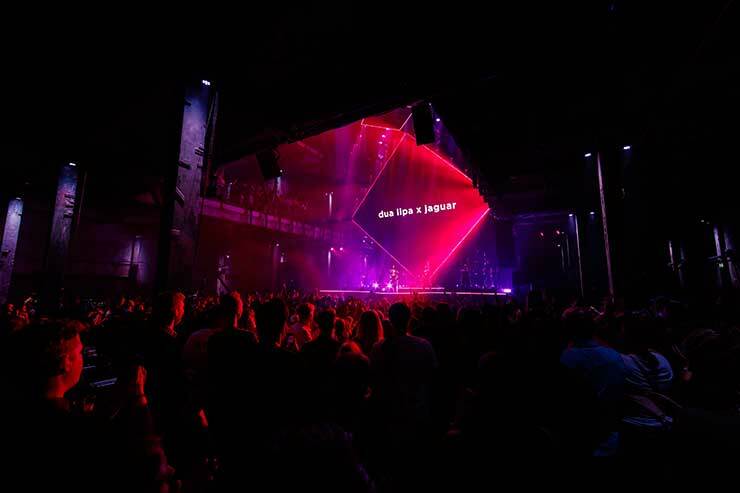 The event was a tie in with Jaguar + Dua Lipa to develop and remix a song using data obtained from driving one of the Jaguar Pace series vehicles. 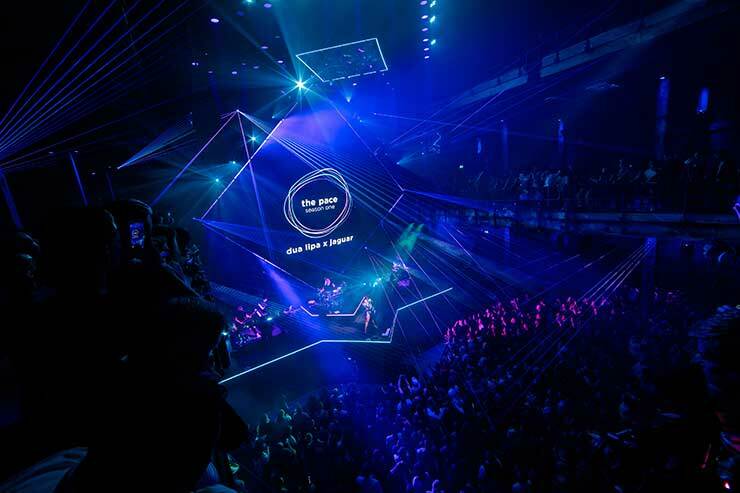 The live captured data was then used to edit the music track, define a series of visual video content and influence the application of the lighting design. 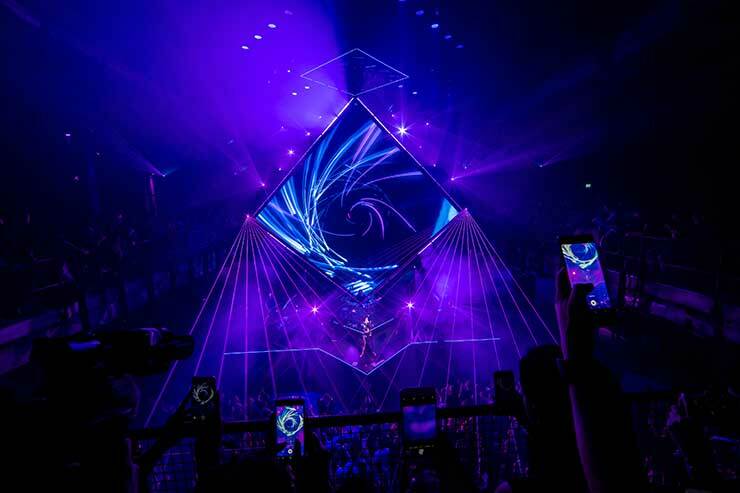 The clients wanted to specifically create a spectacle of lighting and visual impact to provide a set of capture worthy moments for the attending public to share and distribute. This content was designed to be engaging and in turn lead to more shared content. 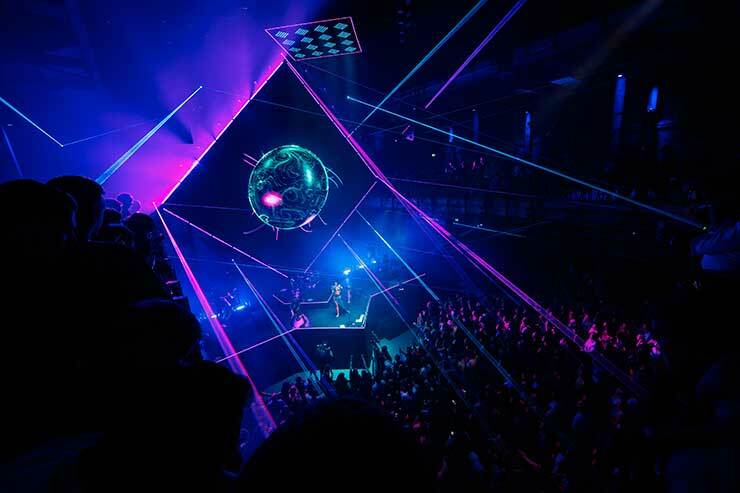 The lighting and lasers of the design formed the principle visual element of the live event allowing the audience to be surrounded by and completely immersed in the visualized data. 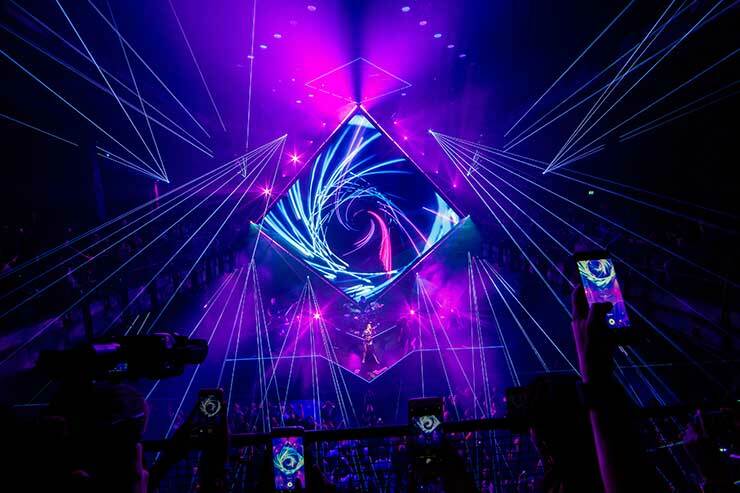 Each stream of data influenced the form, shape, and colour of the lights & lasers. 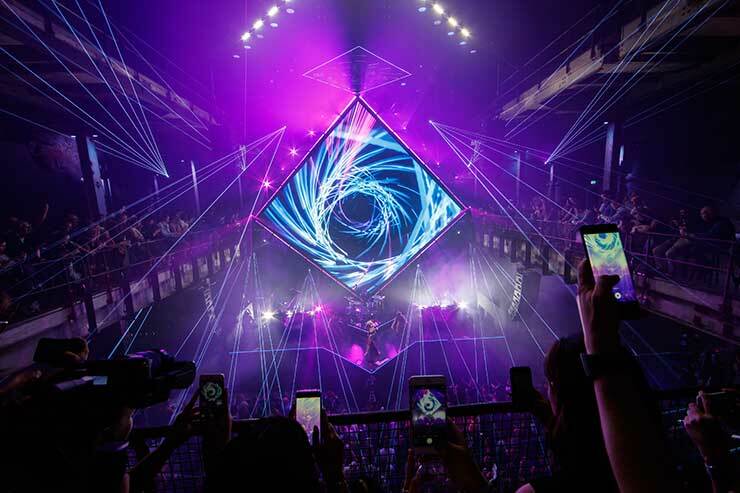 These forms mimicked and reinforced screen content and created a spectacular visually engaging environment which provided all of the content for live video captured at the event and generated the material that the attending public would distribute on their own social media channels. 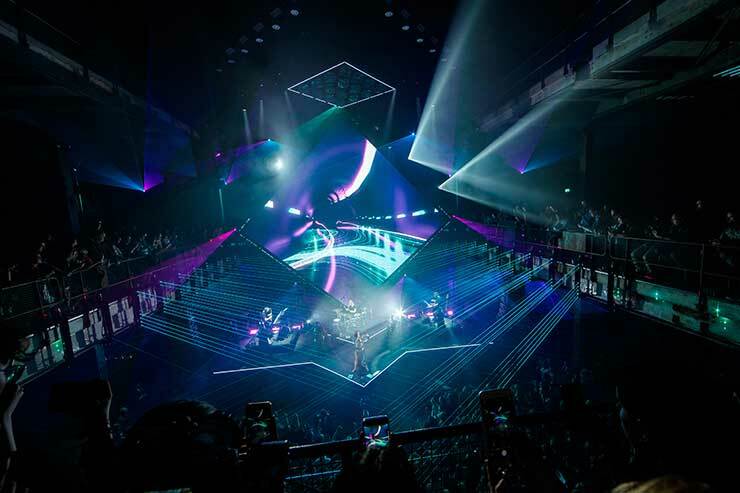 Whilst not specifically an event derived for the purpose of lighting and lighting alone, this live event was created purely to create a visual spectacle with lighting and lasers in order to provide beautiful shareable content. For this reason, I believe this should be considered for eligibility for this category at the 2018 darc awards.